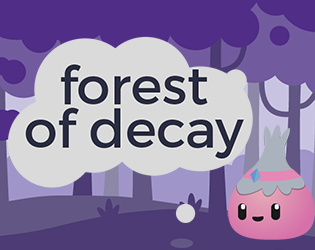 In the game you control Little Radish, a small creature who lives in the forest. Little Radish has to cast spells on the rot and decay currently destroying her home. But the more spells you cast, the harder it will become! The message is that the more you use anti-biotics, the less effective they are. Initially I was going to add another option to represent just taking a day off and drinking Ribena, I would have also liked to have a second level, in another world, demonstrating that travellers may not be immune to bacteria in foreign lands.